who is the most worthy of praise? Or the Father who has his eyes on Jesus? I thank God for my Christian Father. I am a wife to my best friend and mother to two adult sons. One is married to a wonderful Mexican girl and the other to a lovely Filipina. Our life is truly blessed with much culture. I am a soapcrafter, and I create personal care products. I bake for Farmer's Market and do craft shows. I also enjoy designing and making cards. I enjoy a simple lifestyle and living within our financial budget. 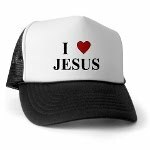 Most of all I am passionately in love with Jesus. The years have taught me that life is a learning and growing experience with peaks and valleys. But through it all, the good and the bad, Jesus has been by my side. My wish is to be a Quiet Light overflowing with God's love. Plodding Along or Climbing Higher? Is Anything To Hard For God? What does your heart reflect?